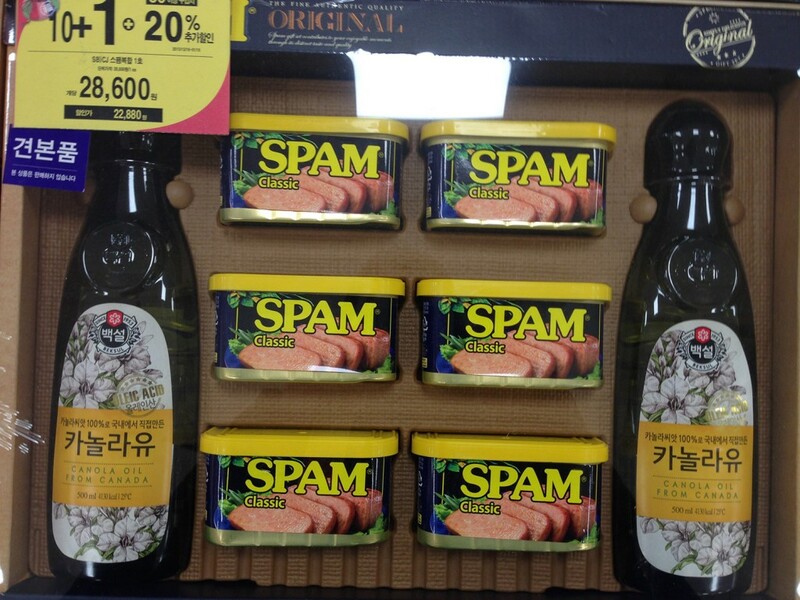 South Korea has become the largest consumer of Spam outside the United States, according to the local producer. 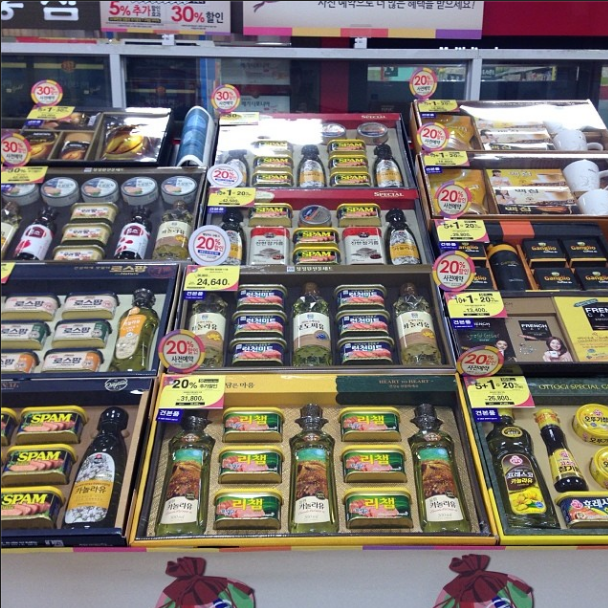 SEOUL, South Korea — As the Lunar New Year holiday approaches, Seoul’s increasingly well-heeled residents are scouring store shelves for tastefully wrapped boxes of culinary specialties. Among their favorite choices: imported wines, choice cuts of beef, rare herbal teas. 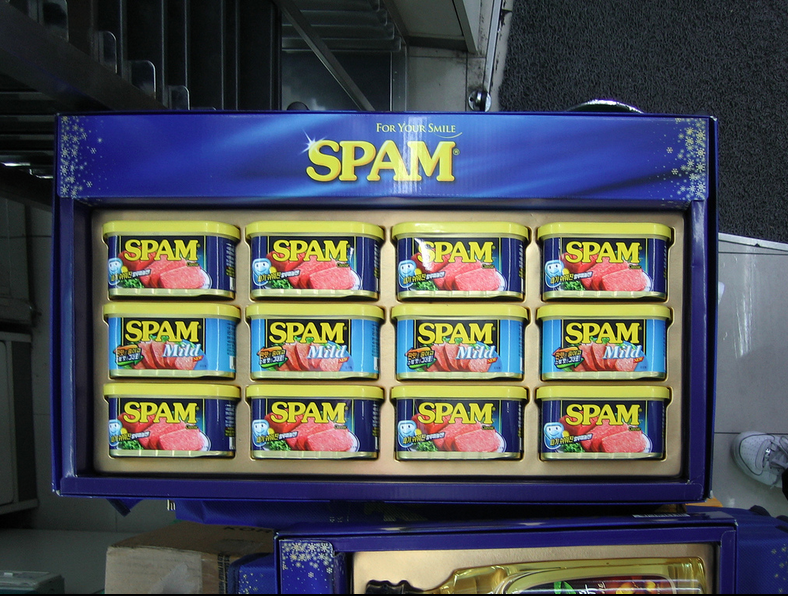 And Spam. Yes, Spam. In the United States, the gelatinous meat product in the familiar blue and yellow cans has held a place as thrifty pantry staple, culinary joke and kitschy fare for hipsters without ever losing its low-rent reputation. 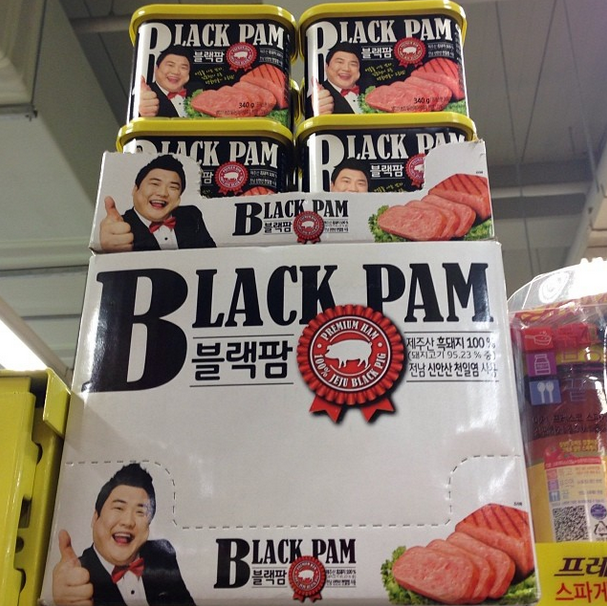 But in economically vibrant South Korea, the pink bricks of pork shoulder and ham have taken on a bit of glamour as they have worked their way into people’s affections. 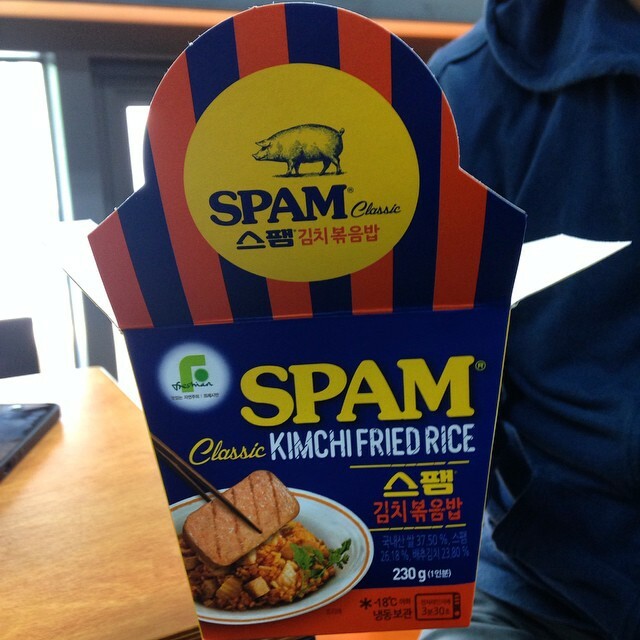 One of the SPAM knockoffs that flooded the market. This entry was posted in Facts about South Korea, Interesting, Korean food by admin. Bookmark the permalink. muchos corupcion en los juegos ..los koreanos tienen miedo y aun no saben que es fearplay .que tiriste…la verdad de lejo parece muy bueno y gente educado pero ojo son capaz de todo para superar te y no dejarte mejorar y … puedes informarte sobre este esunto no en paginas oficiales de korea sino de japon y francia y usa y oriente medio ..